Our team maintains the highest levels of accreditation and pursues ongoing education to stay abreast of the latest trends in dentistry. We are CPR certified and trained in the use of our Automated External Defibrillator. Dr. Kwiatkowski grew up in Eagle, Wisconsin and attended Marquette University’s School of Dentistry. With his leadership and guidance, his practice has grown to be one of the most technologically advanced in the southeastern Wisconsin area. Dr. Kwiatkowski believes in investing in his community. He is actively involved in his church, Saint Francis Borgia, and various community organizations, including the Chamber of Commerce, Riveredge Nature Center, and has volunteered on the board of the American Cancer Society, and is currently a board member for North Shore United Soccer Club. Dr. Kwiatkowski enjoys spending time with his wife, Laura, and children Christian, Madison & Camryn. In his free time, he enjoys soccer, snowmobiling, golfing and bicycling. Kurt R. Kwiatkowski, D.D.S. completed his undergraduate degree in Cell Biology at the University of Wisconsin-Oshkosh. 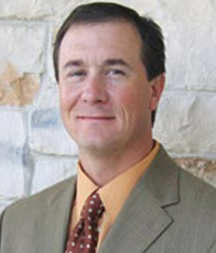 Dr. Kwiatkowski was accepted to Marquette University’s School of Dentistry and earned his dental degree in 1995. Upon graduation from dental school, Dr. Kwiatkowski was selected for the residency at St. John’s Mercy Medical Center in St. Louis, Missouri, where he obtained advanced training in Emergency Medicine, Oral Surgery, Anesthesiology, Endodontics and the treatment of medically compromised patients. Dr. Kwiatkowski frequently attends continuing education courses taught by the country’s leading clinicians, including the world-renowned Las Vegas Institute, The Scottsdale Center for Dentistry, and the Cerec Doctors organization. Dr. Kwiatkowski is currently a Cerec Mentor and the clinical trainer for SE Wi and Northern Il. While attending Marquette, Dr. Kwiatkowski was awarded the Ray Schweiger Academic Scholarship and the Marquette University Academic Scholarship for scholastic excellence. Dr. Kwiatkowski’s achievements in the field have led to lecturing on topics such as Diabetes Mellitus, Congestive Heart Failure and the Prevention of Sports-Related Oral Trauma. Dr. Kwiatkowski’s leadership and commitment to the field of dentistry is demonstrated by his participation in several dental organizations, including CerecDoctors.com, the Academy of General Dentistry, Academy of Laser Dentistry and the Academy of Cosmetic Dentistry. An Indiana native, Dr. Mantel moved to Milwaukee to accept a place in Marquette University’s pre-dental scholar’s program. After three years of undergraduate education and four years of dental school, he graduated in 2008. Prior to moving to Cedarburg, WI, Dr. Mantel worked in Walworth County where he served a great patient base and honed his skills. 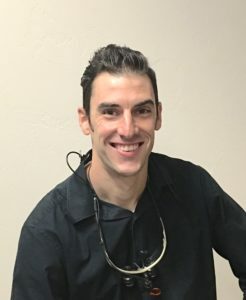 His treatment philosophy is to “treat people the way you would like to be treated.” Dr. Mantel takes great pride in making your dental visit comfortable while meeting all your treatment needs. In his time away from the office, Dr. Mantel enjoys spending time with his wife Alison and their 3 children. He enjoys all outdoor activities and is an avid bicyclist in the summer and cross-country skier in the winter. Kurt R. Kwiatkowski, D.D.S. S.C.